Dentistry for Children. We only treat Kids! Treating your kids like we would treat our own. Welcome to East Cobb Dentistry for Kids! Dr. Nelson Allen and his dental team are committed to providing personal, affordable and fun dental care for your kids. We operate under a simple rule: we treat your kids as we would treat our own. As a Board Certified Pediatric Dentist in Marietta, Nelson Allen DDS is specially trained to provide a comfortable dental experience for you and your children. We are conveniently located on Johnson Ferry Road in the East Cobb area of northern Atlanta, and we are very convenient to Marietta, Roswell and Sandy Springs. Convenient hours before work and school! Dr. Allen and his family reside in East Cobb near Northern Atlanta. Dr. Allen is personally connected to the community that he serves. 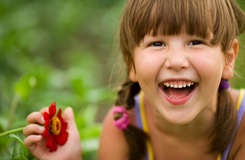 We have gone to great lengths to provide a safe and fun environment for your kids to receive excellent dental care. We provide a wide range of Dental Treatments to ensure that your child maintains an excellent level or oral health. My children’s new Dentist is Dr. Nelson Allen and his welcoming and friendly staff. I recommend East Cobb Dentistry for Kids to all parents. Thank you for making my childrens’ visit a great one!!!!! We had a great time today!! Thank you very much Dr. Allen..see u guys soon !!! What a great first visit for my twins today. Thank you so much for your excellent service. Dr Allen is a great dentist, my kids love going to see him!